My most recent article for Pianist Magazine’s newsletter features the art of stage presentation. This often forgotten topic is rarely highlighted, yet it plays a significant role in every performance. This is the second of two articles on this subject, and you can read the first one, here. In my previous article on stage presentation, I discussed how to foster the necessary ‘thought-process’ required for performing, as well as the importance of repertoire selection, and attire on stage. Today, the discussion turns to the actual act of going on stage itself. How we might traverse the concert platform in order to capture and keep our audience’s attention. 1. When we walk to the piano to play our concert, how we approach the instrument might indicate our level of anxiety. If you can cultivate an assured sense of confidence before the concert begins, you will instigate that same confidence in your audience, and they, in turn, will relax and start to enjoy your presentation right from the outset. You don’t need to stride – but rather stroll purposefully and with a certain conviction and realisation of the occasion. 2. Perfecting the bowing technique. A pianist must show gratitude to their audience, and this involves bowing conscientiously and with grace. This element will be highly visible to your audience, so aim to take time to bow with dignity and appreciation. It is probably a good idea to smile before you commence playing too, and try to appear relaxed and in no hurry to start. 3. How we sit at the piano will determine our comfort level. Take your time to adjust the stool, ensuring the correct height. Rest your feet on the pedals, making sure you can play them easily, and relax your shoulders; if you can rest your hands on the keyboard whilst keeping your shoulders relaxed, then you have probably found the perfect height for your stool. 4. Take a few moments to ‘breathe’ before you start. This might make the difference between a smooth, rhythmical opening to one with a few unexpected errors. Try not to rush into your piece; it can help to focus for at least ten seconds, and then, in order to establish the correct tempo, count a couple of bars (in your head) at the desired speed before you start to play. If you can do this, you will be able to exude polish and control. 5. Some pianists tend to move too much at the keyboard. There must be a certain level of movement in hands, wrists and arms when playing, to help with flexibility and comfort when circumnavigating copious note patterns. However, it isn’t strictly necessary to move the whole body as this can prove a distraction to your audience. Aim to keep movement to a minimum and try to minimise facial expressions too! At the end of your performance, remember to acknowledge your audience. If you can learn to enjoy performing, this will bode well for all future endeavours and the improvement of your piano playing as a whole. Stage presentation is an important topic, not just for those who perform regularly, but also for students preparing for exams, diplomas, or school concerts and festivals. 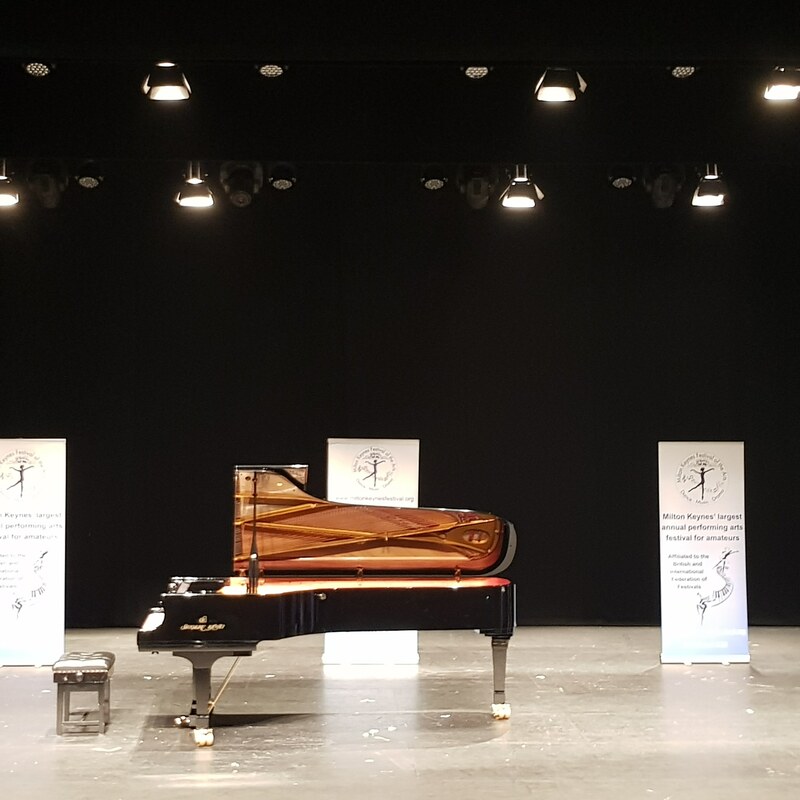 In my latest article for Pianist Magazine newsletter, I offer the first of two articles on stage presentation, with a few ideas for honing and developing a more assured approach to performing. I hope it’s of interest. This topic might, at first glance, appear frivolous, but it’s important for many reasons, not least to illustrate how we should ideally conduct ourselves onstage. But it also helps various aspects of our piano playing, from choice programming to addressing that all-consuming issue; learning to focus whilst playing. It’s for these reasons that this ‘5 Top Tips’ article is the first of two on the subject. These tips are reminders for anyone giving concerts, taking exams or diplomas, participating in music festivals, or just playing for family and friends. Before you play a note or even prepare to play a concert, some thought must be given to programming. What will you play? Your programme choice will reveal your personality, and for an audience, may or may not attract them to your recital. 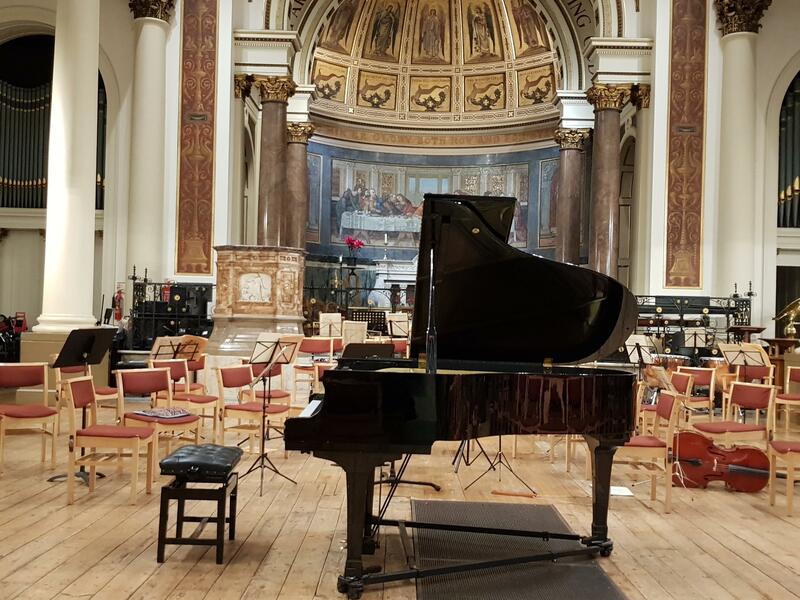 A balanced programme is a good idea, but it can be more adventurous to include some Contemporary music. This is especially true when programming for a diploma exam. For a 35 minute diploma recital, why not consider adding 10 minutes of new music. It doesn’t have to be dissonant or atonal music; there are plenty of Contemporary composers who write in an essentially tonal style. When discussing your next performance, how do you feel? Excited? Fearful? Probably a mixture of the two. The best way to overcome fear is to keep exposing yourself to it; if you can perform regularly, it starts to take on an element of routine. Whilst routine shouldn’t equate to boredom, repeated performances will help to extinguish nerves, and allow you to feel more in control on stage. Another way to alleviate any potentially negative psychological aspects of performing, is to really fall in love with the piece or pieces that you intend to play. This is why it is paramount that you connect with your chosen repertoire. Ask yourself the following: why do you want to play your piece? Do you love it? How does it make you feel? If you feel a strong attachment to your repertoire, then you will be keen to communicate this with your audience, which can detract from the worry and fear associated with performing. Should we address our audience on stage? Some performers prefer to walk on stage and just play, whereas others like to talk to their audience, establishing a connection and informing them about the repertoire. I played classical recitals on cruise ship for many years, and one facet which was crucial to the success of a performance was talking to my audience. Even if you just briefly explain what you are going to play, it sets the audience at ease and, hopefully, brings them into your space. What will you wear to your concert? Attire is important, adding a sense of occasion. Comfort is crucial, and high heels may not be a good idea for all ladies! Aim to find a style which allows you to move freely, but without looking too casual. In my opinion, a concert is an event, therefore smart is the order of the day. Again, this is especially important if taking a diploma, as certain examination boards mention that suitable attire will be taken into consideration during the exam.